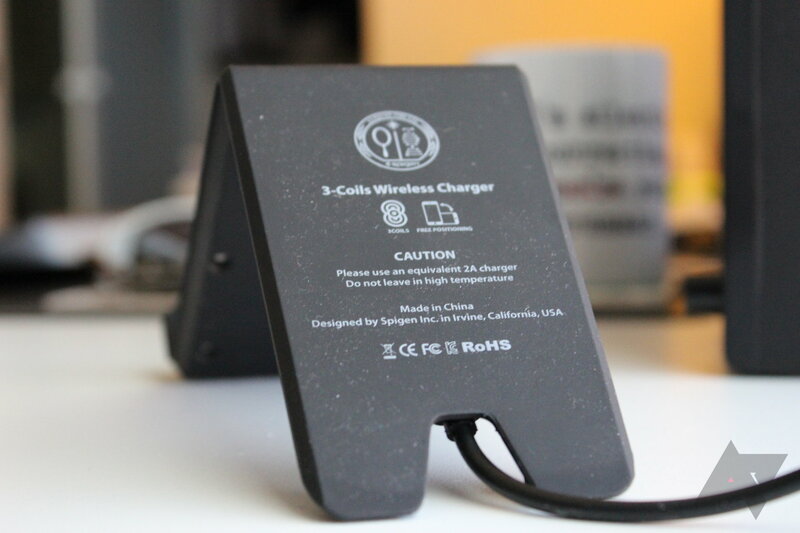 When it comes to wireless charging, TYLT is generally the first name that comes to my mind, as the VU has been my primary charger for Qi-enabled devices since...well, for a long time. I prefer the stand-like design of the VU over that of chargers that lie flat, as it just makes it easier to look over and see my phone without having to actually pick it up (does that make me lazy?). When I saw the new F300 Wireless Charger from Spigen ($50, $27 on Amazon) - which shares a lot of the same design elements that I love about the VU - I knew I had to check it out. 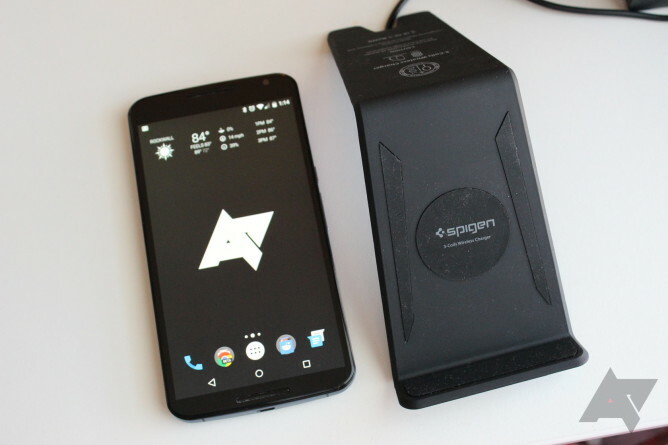 I've generally been impressed with pretty much every Spigen product I've used, so I had high expectations for the company's first wireless charger. To put it simply, I haven't been disappointed. In fact, it may be time to retire my old VU. It's hard to deny where Spigen got the inspiration for this charger when looking at its design - it looks a lot like the VU. 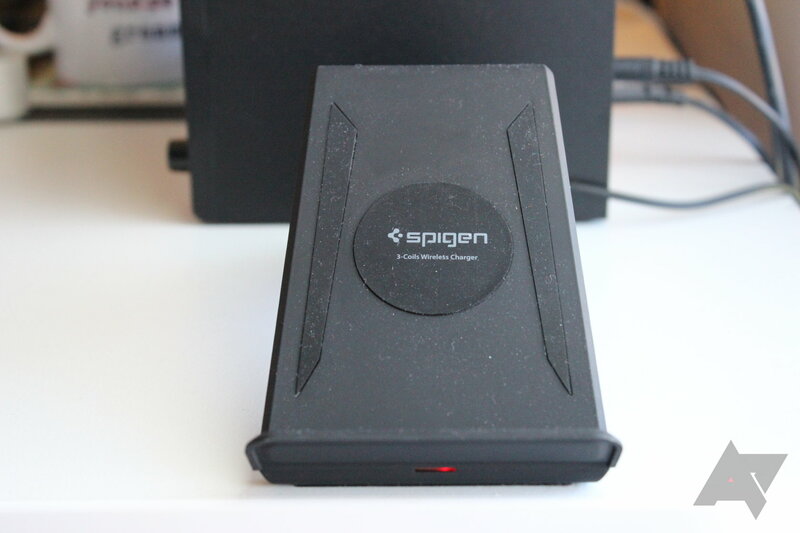 Basically, it looks like someone at Spigen said, "Hey, I really like this charger. Let's take the most common problems with it, fix them, and make it our own." So that's what they did. I like it. 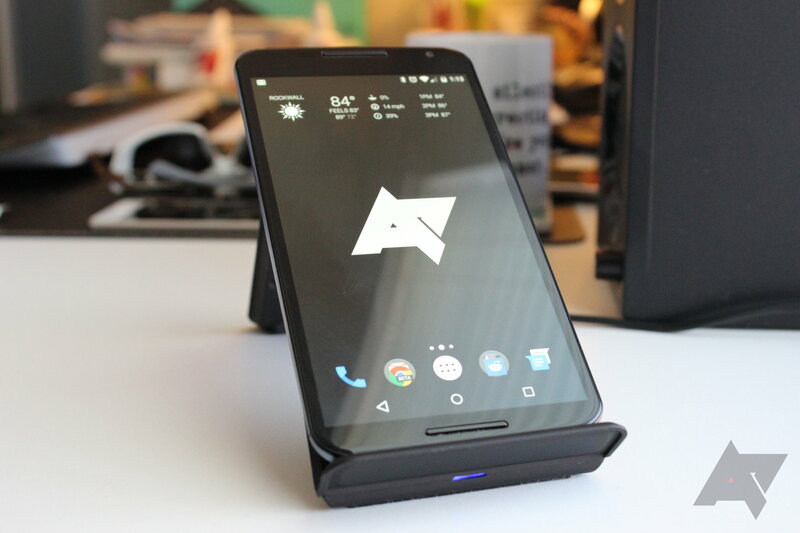 There really isn't a lot to say about how it actually looks: it's basically a stand that charges your phone. The design under the hood, however, is a different story altogether. I know I've already mentioned the VU a few times, and I hate to take this review in a direction that's essentially just a comparison of the two chargers, but I feel like that's the best way to discuss what this charger does really well: charge. My favorite thing about the F300? 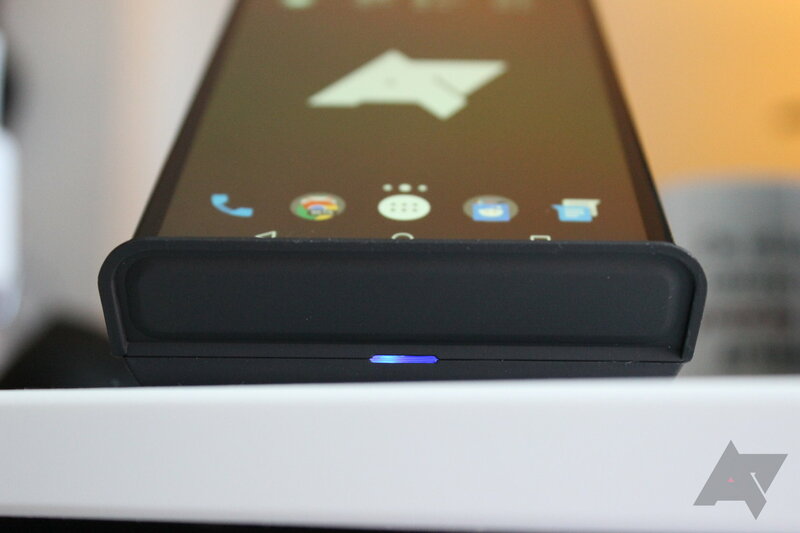 It uses a standard microUSB port. Basically, where the VU only has one charging coil in the center of the platform - I was actually wrong here - the VU also has three coils - the F300 has three: top, bottom, and middle. This means that you can basically throw your phone at it, and assuming it lands on the charger, it will start charging. In other words, it just works really well, and it does so in both portrait and landscape.. It also has a small light on the bottom that glows red when the charger is not in use, then turns blue once it's charging something. It's a simple thing, but I really love that. But my favorite thing about the F300? 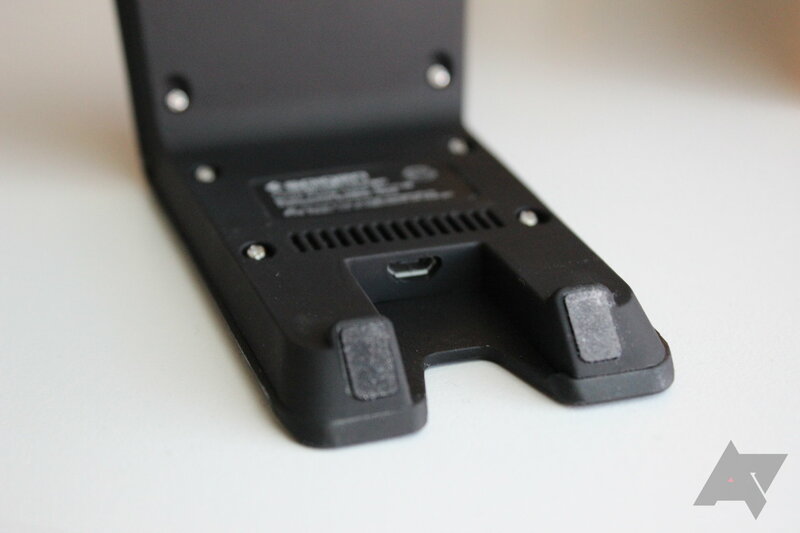 It uses a standard microUSB port. That means you can use your existing charger with it, and there's no proprietary crap to deal with. Love. I mean, I've kind of already given this one away, but it works really well. Thanks to the multiple charging coils, you don't have to pay much attention to how you put your phone down, because it'll pretty much start charging regardless of how you put it on there. And in terms of speed, it's comparable to basically all other wireless chargers I've used - not any slower, and not noticeably faster. It gets the job done, and it does it with ease. That's all you really want out of a charger, right? Look, if you want to spend $50 $27 (seriously, get it from Amazon) on a wireless charger, this is a good one to spend it on. While I definitely still consider things like wireless chargers to be luxury items, they're awesome to have around if your phone supports it. Honestly, once you've got a Qi-enabled phone and a couple of wireless chargers around the house, it's really hard to go back to grabbing a cable to juice your gadgets. 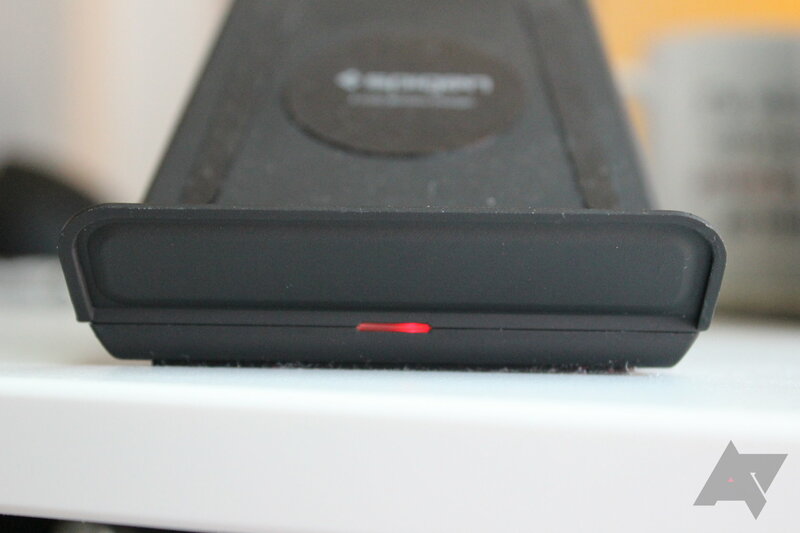 And when it comes down to it, I love the dock-like design of the VU and F300, because it just makes more sense to me. But between the two, I'd take the F300 all day long. It's probably my new favorite wireless charger.